Welcome to the latest edition of Muscle Car Milestones. Here, we look at not just cars, but trucks, SUVs, and any other vehicles that have become legendary, notorious, and maybe even loathed in the muscle car world. We will also take a look at the rare, forgotten, and just plain overlooked muscle from all eras. There are no rules or limitations on what we will cover. This edition of the Muscle Car Milestones highlights the 1965 – 1967 Ford Mustang with the K-Code engine. This was the first high performance Mustang, sporting the 271 horsepower 289 cubic-inch K-Code Hi-Po powerplant. Since so few buyers opted for this engine, this makes it one of the rarer and most sought out Mustangs out there. Ford introduced the Mustang halfway through the 1964 model year. It was a smashing success selling over 600,000 units for the first year of production. That’s considerably more than the projected 100,000 cars Ford expected to build. Buyers could choose engines ranging from a 2.8-liter 6-cylinder all the way up to a 260 cubic-inch V8. The K-Code engine was initially available in the Ford Fairlane in the early 1960’s. It made 271 horsepower and 312 lb-ft of torque and could propel these cars from 0-60 in less than 9 seconds. Realizing the motor’s potential, Ford made it available in the Mustang for the 1965 model year. Mustangs equipped with the K-Code engine came in coupe, fastback, and convertible form. 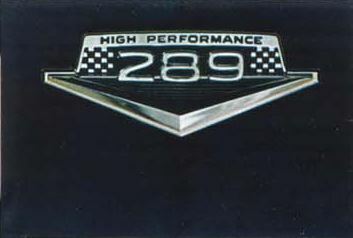 They are easily identifiable by the “High Performance 289” badging located on the front fender. Other significant enhancements include performance-minded drivetrain components such as the clutch, driveshaft, and differential. 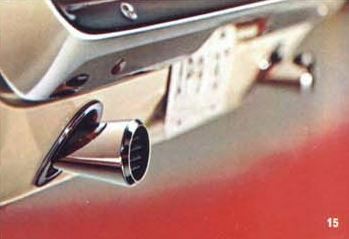 In order to allow for dual exhausts, special reinforcements were made under the rear seat and in the rear frame rails. Rear brake lines were also repositioned to allow dual exhausts to be installed. Buyers who wanted more curb appeal could choose the optional GT Equipment Package. This bundle of goodies included foglamps, front disc brakes, racing stripes, and dual exhaust trumpets. Those who purchased the GT Equipment Package could also get the K-Code option for $276 and those that picked a non-GT could pick up the option by plopping down an additional $328. The K-Code definitely was the most expensive option on the Mustang at the time. Those wanting to get a little track time could spring a little extra for the Special Handling Package. Stiffer springs, shocks, and a front stabilizer bar rounded out the toys that came with this package. Ford knew that performance was one of the main reasons most buyers purchased K-Code Mustangs. With that in mind, Ford did not equip these cars with amenities such as power steering or air conditioning. Also, the only transmission initially available was a 4-speed manual. An automatic transmission was not available until the 1966 model year. So what did you get by checking off the K-Code option on the order form? High performance connecting rods, pistons, lifters, cylinder heads, and an Autolite carburetor were just a few of the upgrades installed on this engine. Chrome valve covers and an air cleaner with “289 High Performance” lettering are another telltale feature of the K-Code engine. All K-Code cars also came with a larger 9-inch rear axle ring instead of the usual 8-inch installed on other Mustangs. Ford knew that most buyers of this special Mustang bought them with one thing in mind…racing. For that reason, instead of the Mustang’s usual 12-month or 12,000 mile warranty, K-Code Mustangs only received a 4 month, 4,000 mile warranty. Speaking of racing, this special Mustang was no slouch on the strip. Sprints from 0-60 were recorded at around 6 seconds and quarter mile runs were achieved in the mid 14-second range. 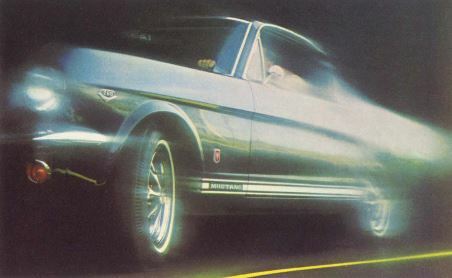 Since the Camaro and Firebird were not even twinkles in their eyes of their designers at the time, the only other pony car to compare the K-Code Mustang to was the Plymouth Baracuda Formula S. The 235 horsepower Formula S equipped with a 4-speed manual was a second slower from 0-60 and nearly 2 seconds slower in the quarter. 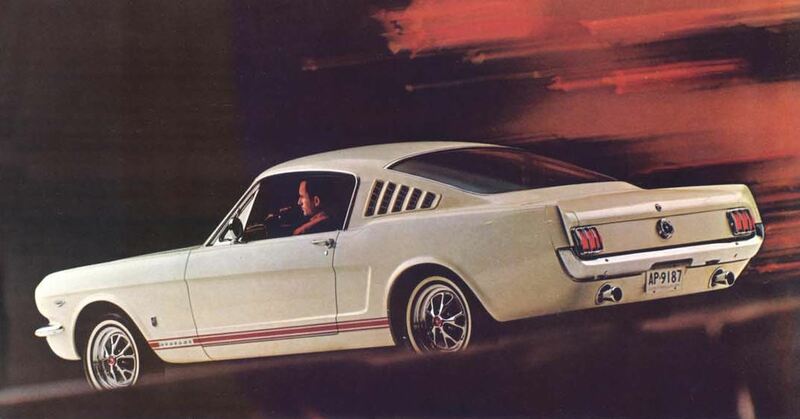 1967 would be the swan song for the K-Code engine Mustangs. Over the course of their three years of availability, only around one percent of buyers opted for this high performance powerhouse. Today, pristine examples of this rare pony car can be found selling around the $60,000 mark. That is, if you can find one.